Bustling Traffic on Blackfriars' Bridge. London painter in oils and watercolour, particularly of church architecture. Dolby produced many views of cathedrals and churches on the Continent. 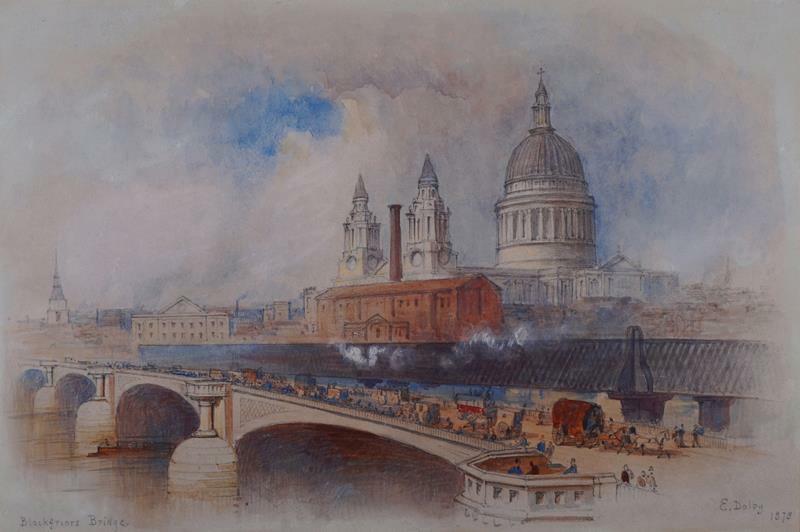 He exhibited in London mostly at the Royal Society of British Artists and also at the Royal Academy. Dolby published A Series of Views during the Russian War in 1854, Dolby's sketches in the Baltic in 1854 and provided the illustrations for E.H. Nolan Great Britain as it is in 1859.